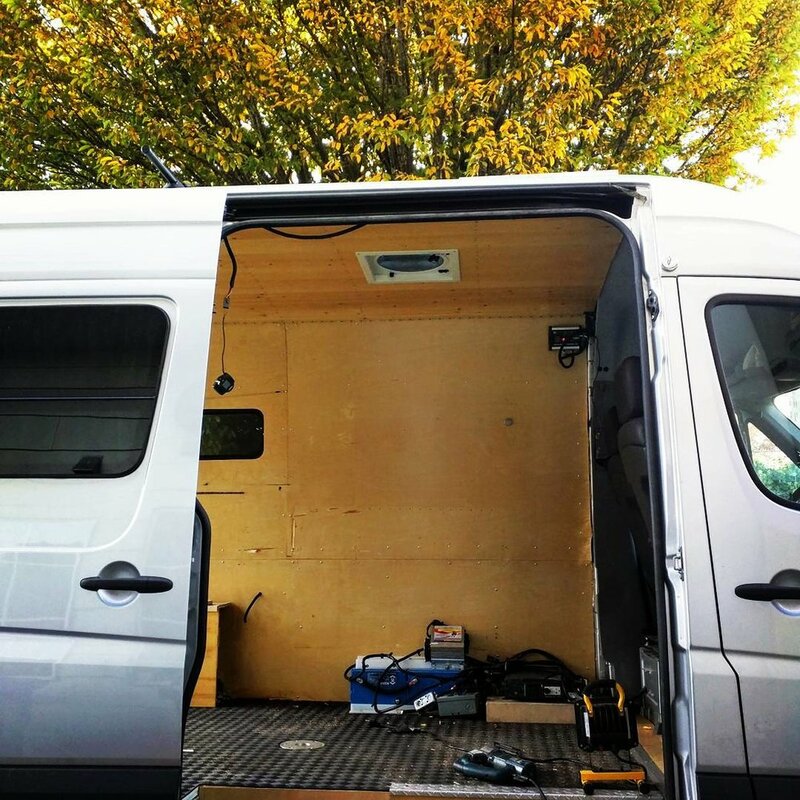 Click on the image to see this Mercedes Sprinter Van transformed with new custom cabinets. The van, stripped of it's previous cabinets and getting prepped for new ones. Made from apple plywood - getting ready to install. Also in this photo, a bench seat near the door. Owner of Measure Fine Woodworking, Mark, explains the details for the Sprinter Van cabinets. Plenty of places to put things. Although the cabinets were made with hi quality apple plywood, nice finish details like the live edge were added. Special hardware, and storage make this unique to van cabinets. Lots of sweet storage under the bed.